–I ship anywhere. Sizes, feedback, and shipping are in the main description. 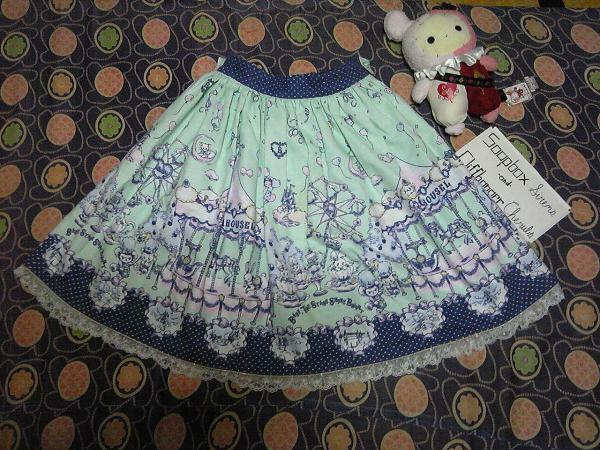 -BABY Milkchan's Fantasy Wonderland Skirt: Has carousels and a stain, so it is Major Damage (see photos). 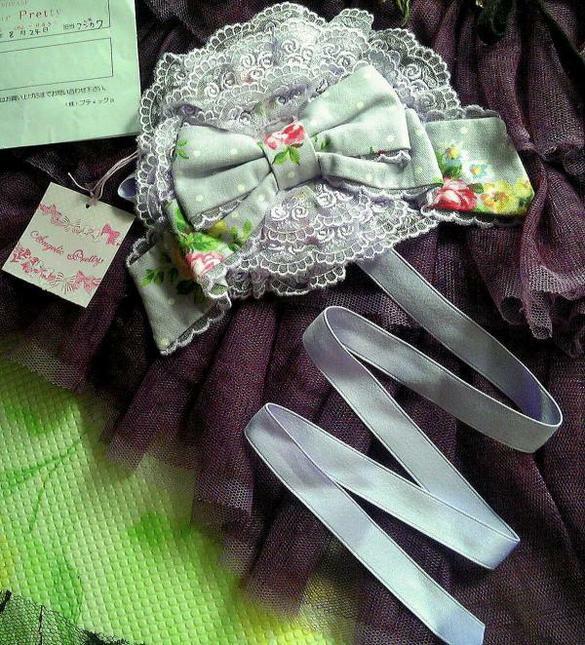 -AP Rose Afternoon Canotie: The spot on the ribbon keeps the condition from being Like New (see photo).